Figure 18. 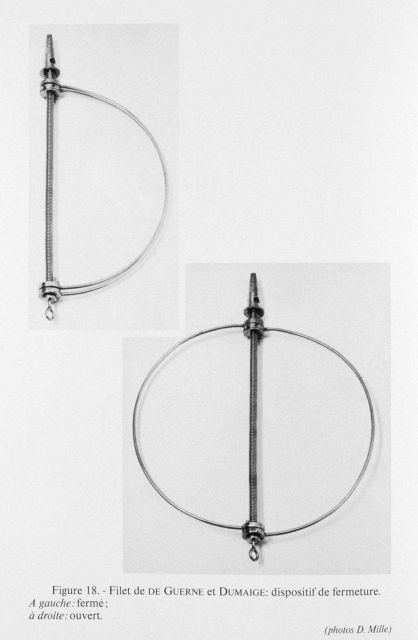 Net closure device invented by Baron Jules De Guerne and Paul Dumaig e and first tested in the east Atlantic in 1886 in 31 meters waters depth. Left: closed. Right: open.